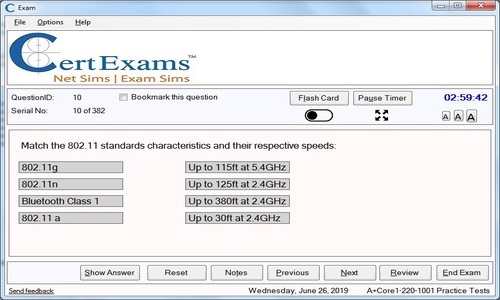 Exam Simulators offered by CertExams.com include 300+ questions in each simulator which are according to the latest objectives for that exam. 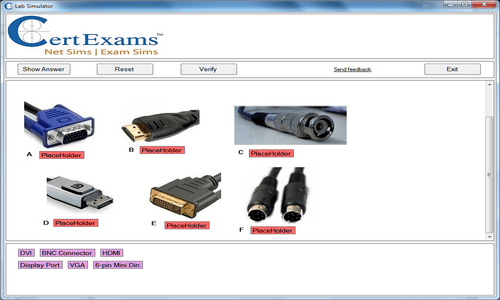 Various question types including multiple choice, true/false, drag-n-drop, Testlets and Simlets are supported. 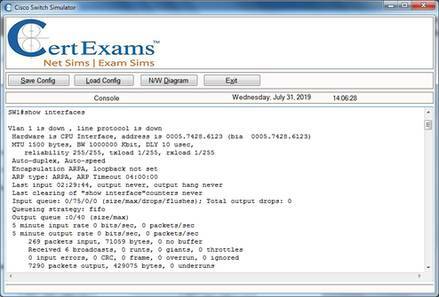 Exams taken can be saved and reviewed any time. Detailed explanations are provided with every question to make learning easy. 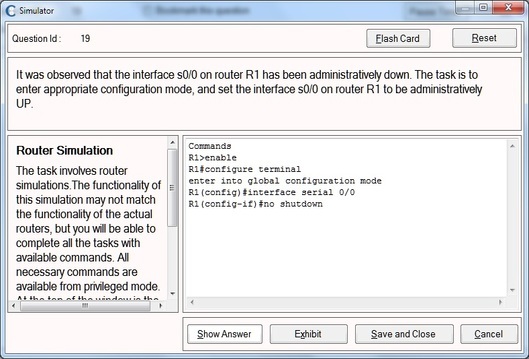 Question Types Supported include multiple choice, true/false, drag-n-drop, simlets, and testlets. 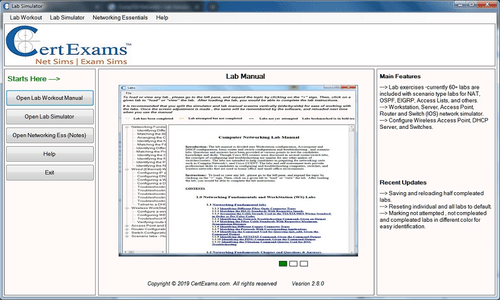 CertExams.com offer Lab Simulators for CompTIA® A+ and Network+ with 100+ labs for hand-on experience. 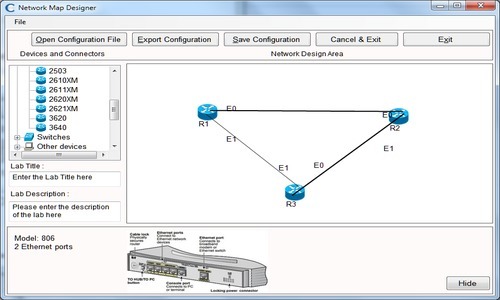 Network+ Lab Sim also provides network designer which can be used to design own networks. 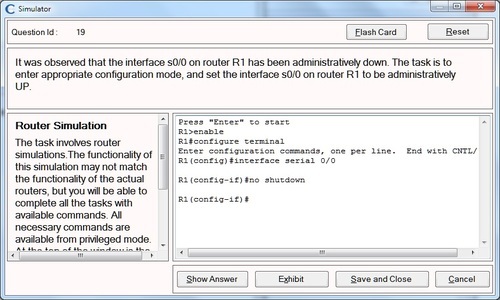 Lowest pricing in it's class. 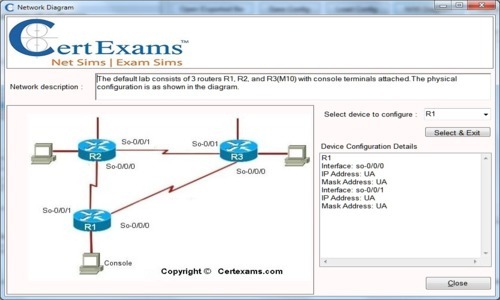 Disclaimer: CertExams.com is not associated or affiliated with Cisco® Systems, CompTIA®, Juniper® Systems, Microsoft Corp, Oracle Corp or any other company. All trademarks are duly acknowledged. 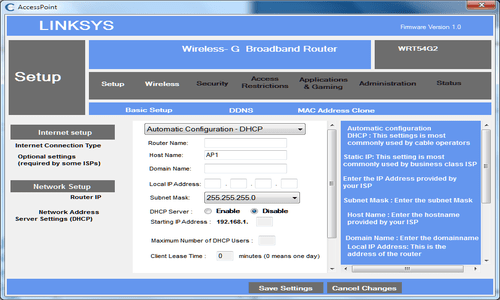 CCNA™, CCNP™, CCENT™, ICND2™ are trademarks of Cisco Systems, A+™, Network+™, Security+™, Server+™ are trademarks of CompTIA organization, and ITIL® is trademark of AXELOS Limited. Juniper JUNOS is a trade mark of Juniper Systems, PMP™ is trademark of Project Management Institute, Java™ and OCPJP™ are trademark of Oracle.